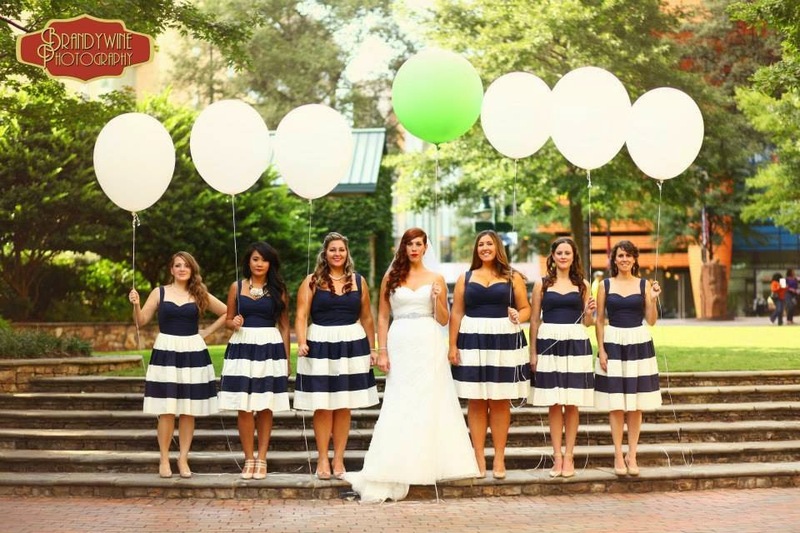 Jackie Fo: Navy and Green Wedding - Liz & Adam's Early Fall Wedding! 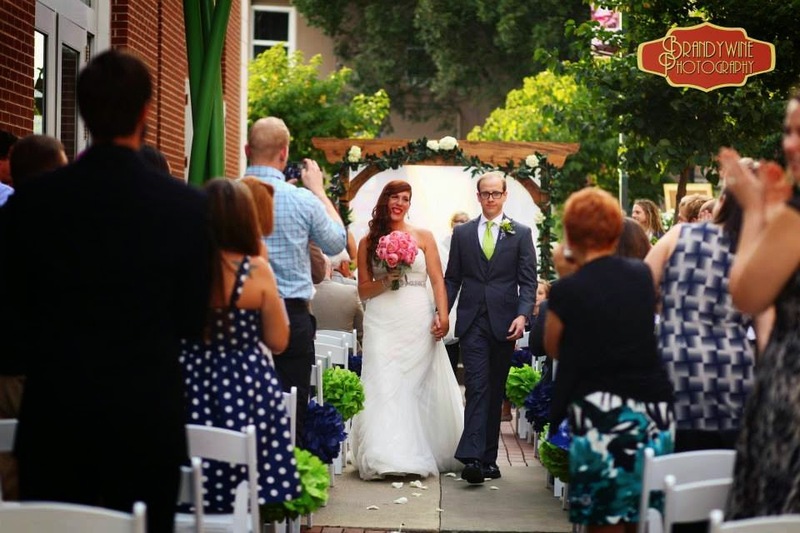 Navy and Green Wedding - Liz & Adam's Early Fall Wedding! Getting the professional photos from a wedding is like Christmas morning. No matter how many great iPhone photos there are, nothing can compare with the beautiful professional photos! 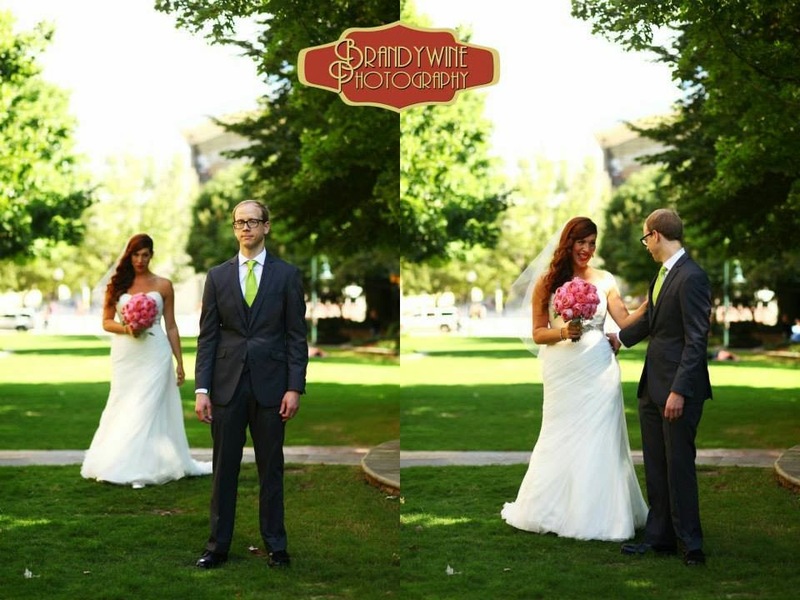 I'm super excited to share Liz & Adams' photos taken by Brandywine Photography. Brandy did a wonderful job capturing all of the creative details of this navy, green and white wedding. Full vendor list at the end of this post. Thanks to everyone who made this day a success! 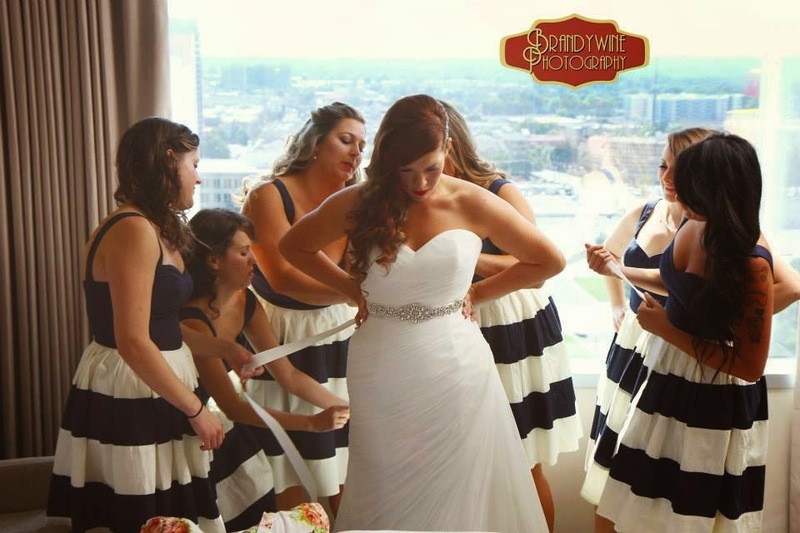 Liz was an art major in school and her creativity shined throughout her entire wedding. 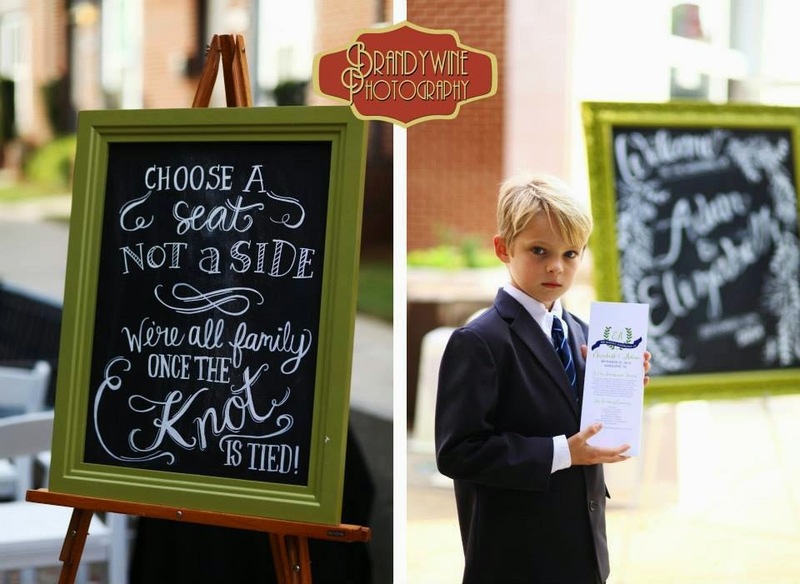 Now this is how you do a DIY wedding! Liz hand lettered all of the signage on chalkboards. I told her she can make and SELL these signs for my future brides! How precious is the little program attendant too! 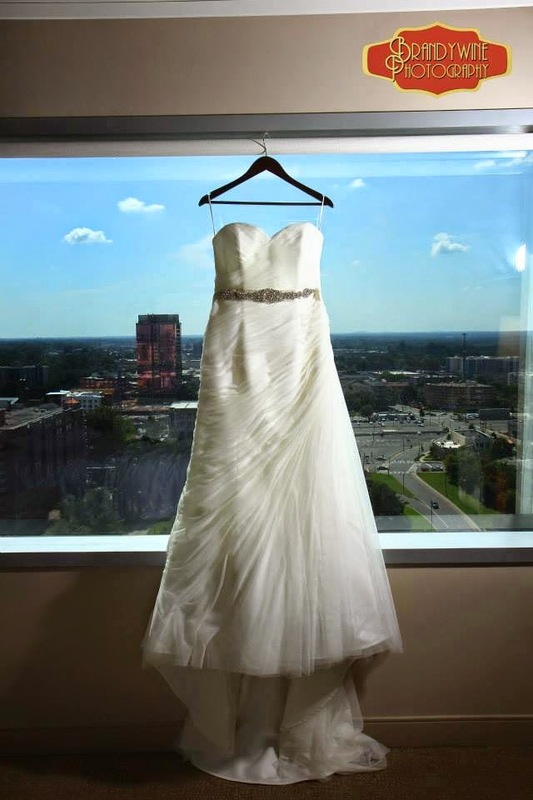 The ladies got ready at the Westin Hotel. Here's her gorgeous dress hanging in the window. 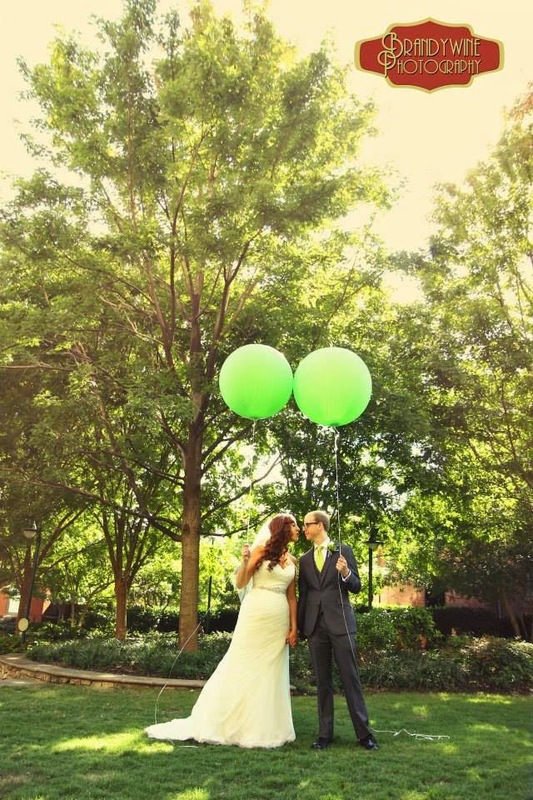 Liz & Adam had a First Look at The Green in Uptown Charlotte. They found some big ole' balloons. And hey, look, there's the bridesmaids! 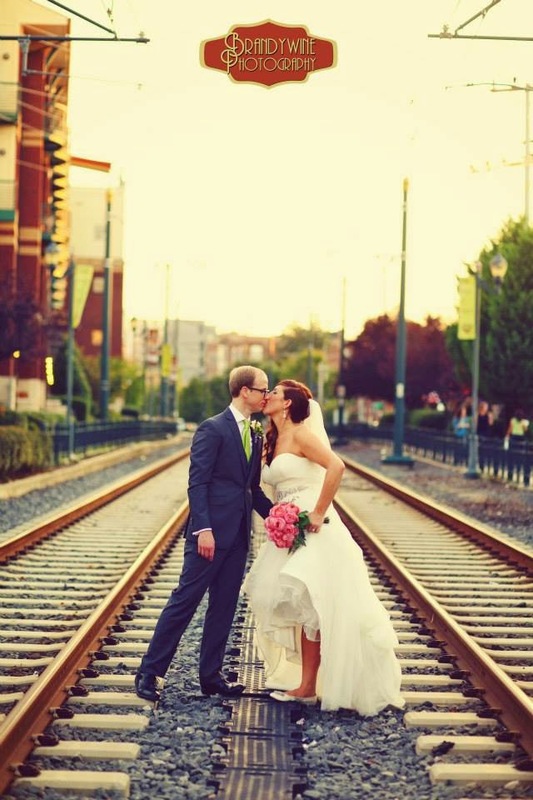 The ceremony was outdoors on the Trolley Museum patio, right in the heart of South End Charlotte. The bustling spot makes a unique outdoor space! 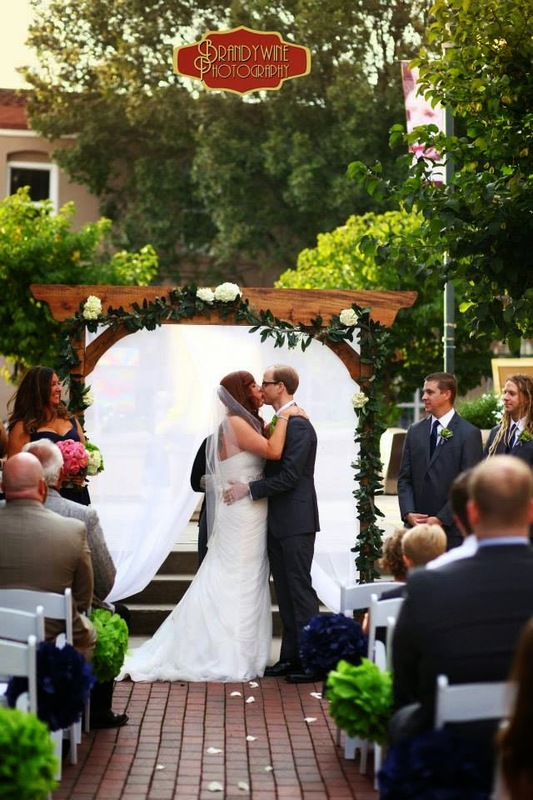 With a wooden altar, navy and green tissue paper poms and white chairs, the ceremony was classic and colorful! 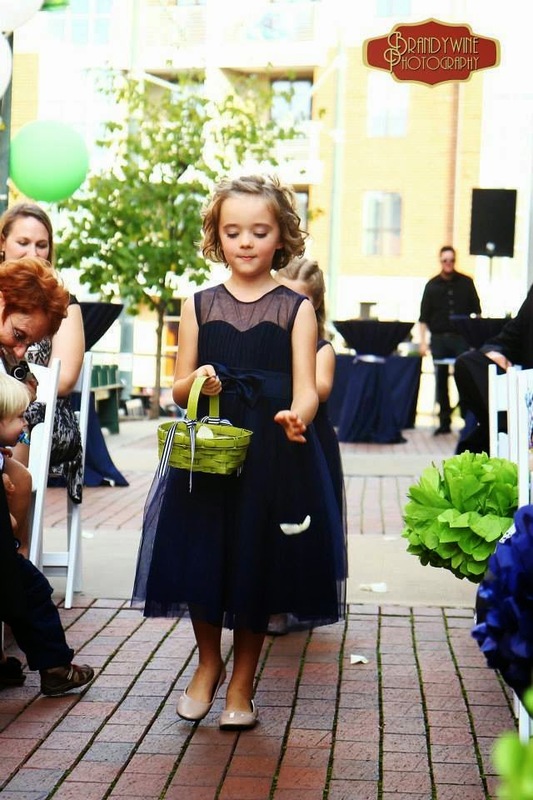 I loved the flower girls' little green baskets! 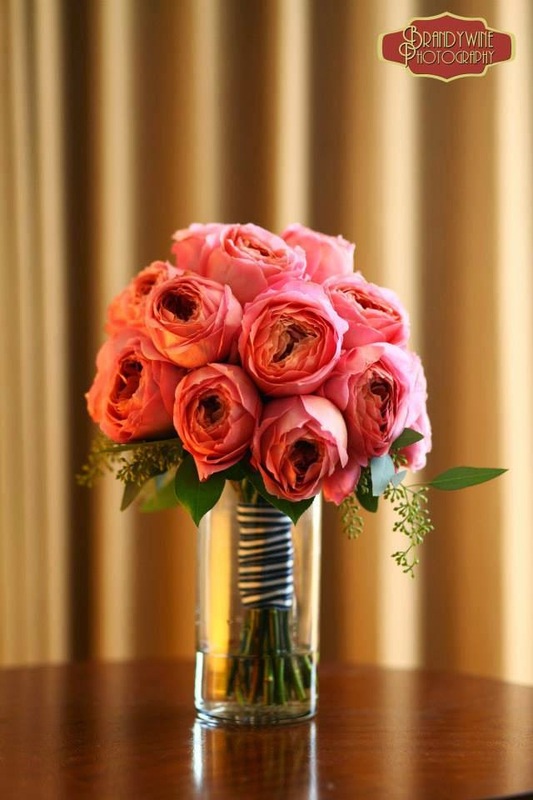 Liz said she wanted something pink at her wedding so she chose a beautiful bouquet of pink peonies. A pop of pink is never a bad thing! 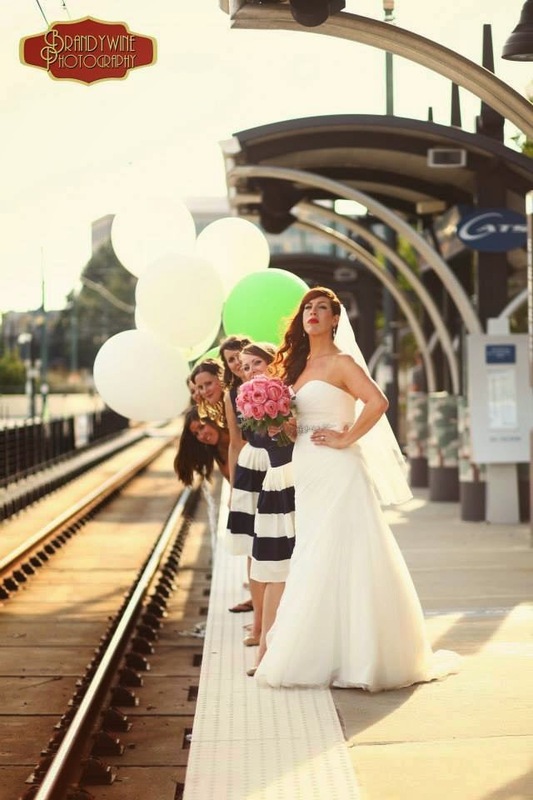 The bridal party took the light rail over to the venue and looked fab doing it! The cupcakes were delicious (I had approximately 45) and I loved the chevron cupcake liners! For wedding favors, the couple gave out personalized pint glasses which I LOVED. Everyone loves some swag, am I right? 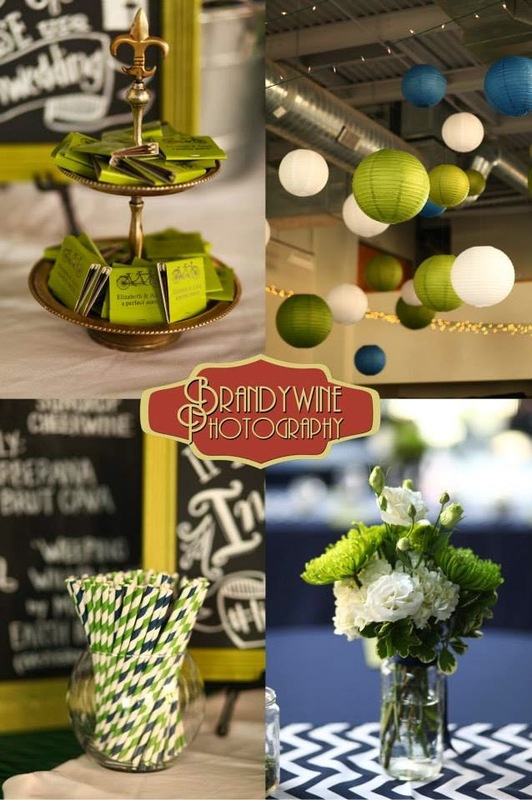 From personalized matchbooks to color coordinated paper lanterns, this reception killed it with creativity! Here's the couple I have NO doubt will live happily ever after! It was a pleasure to work with you both! Don't forget, there's still 2 more days to win the wine tasting kit giveaway from Coppertops Paperie! You can find the giveaway post HERE! 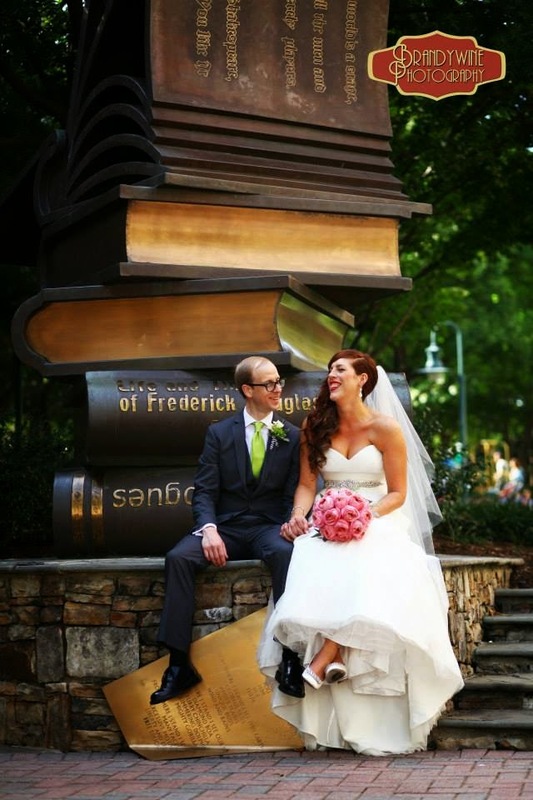 Such beautiful photos...I LOVE the giant book sculpture.